Don’t worry – clicking this button won’t charge you anything! Featuring sea views, Redsky self catering Agulhas is located around a 10-minute walk from Agulhas National Park. Guests staying at this apartment can use the free WiFi and terrace. The apartment has 2 bedrooms, a living room, and a kitchen with an oven. The property also provides guests with a bathroom with a shower. Cape Agulhas Lighthouse is half a kilometer from Redsky self catering Agulhas, while Southernmost Tip of Africa is 1.8 km from the property. 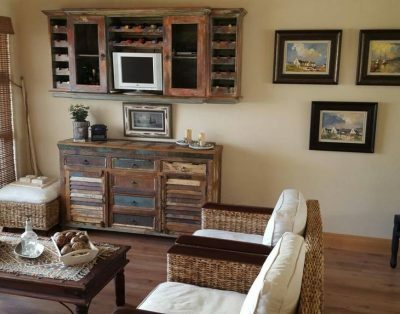 Groups in particular like the location – they rated it 9.5 for stays with multiple people. This property is also rated for the best value in Agulhas! Guests are getting more for their money when compared to other properties in this city.